This discounted ticket is available to members of Textiles Scotland. This ticket is available for non-members of Textiles Scotland. 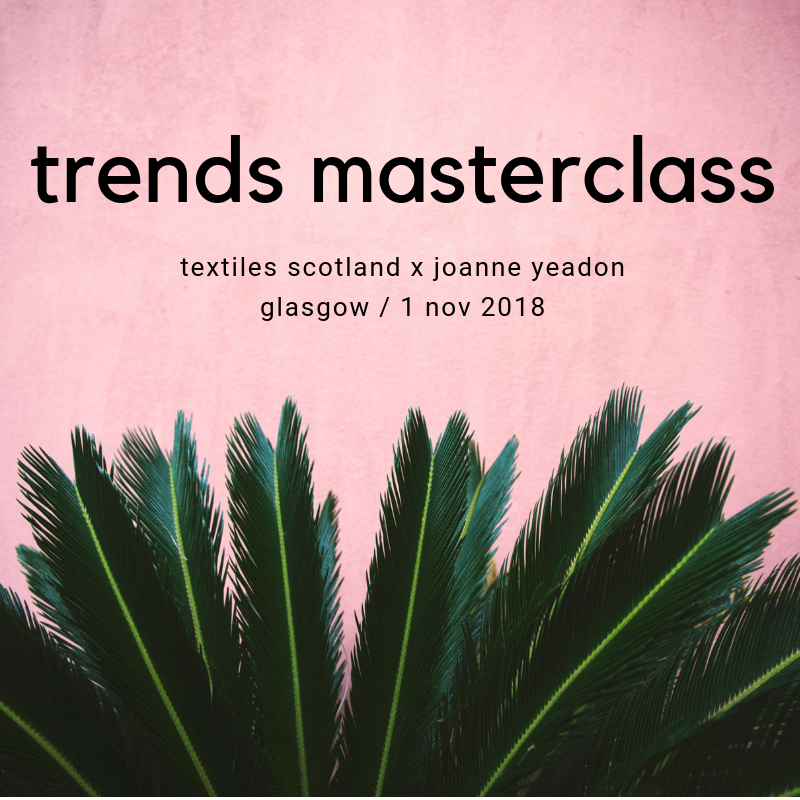 Textiles Scotland present the next Trends Masterclass for textiles and fashion businesses; delivered by designer and buyer Joanne Yeadon to help creative teams plan for the coming seasons. The AW19 Trends Masterclass will cover seasonal trend directions across fashion, interiors, gift, materials and yarn, aiming to inform and inspire. Joanne Yeadon has worked with fashion and interior trends for over 15 years. 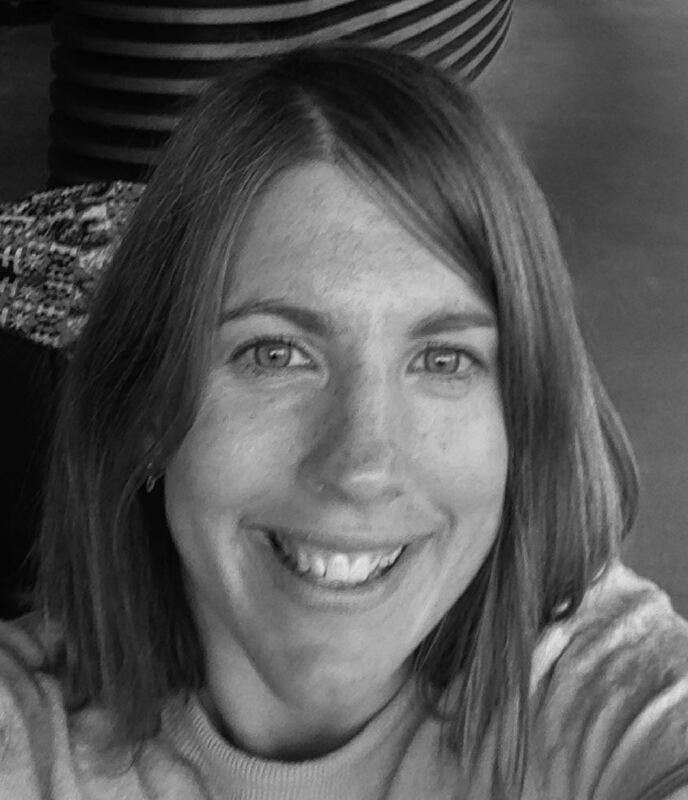 She has worked in design and marketing for textile manufacturers both in the UK and Far East; and has collaborated with brands such as Hugo Boss, Esprit, Calvin Klein, Mulberry, John Lewis, Boden and Hobbs. Joanne currently lives in the north of Scotland and works part-time as a homeware buyer for Johnstons of Elgin while developing her own textile design studio; passionately focused on colour, pattern, and decoration. Join us for a thorough and interesting analysis of fashion and interior trends affecting the market place; highlighting directional colours, inspiration & influences for Autumn/Winter 2019. Lunch will be provided and will be a great chance to network with Joanne and other designers. This event is open to all companies & individuals from all business sectors, with Textile Scotland members receiving a discount on full-priced tickets. If you are not currently a member and would like to join please click here.